CHATTANOOGA, Tenn. (December 8, 2015) – Ten finalists have been selected to pitch their business ideas at The Company Lab’s (CO.LAB) annual ‘Will This Float?’ event. The presenters will compete for prizes before a panel of three judges and an audience of community members, who will cast votes to determine winners in three categories – Best Idea Overall, Best Music/Entertainment Idea and Best General Business Idea. The event will take place Thursday, Dec. 10 from 6—10 p.m. at Revelry Room. Admission is $7 in advance or $10 at the door. Click here to reserve a ticket. 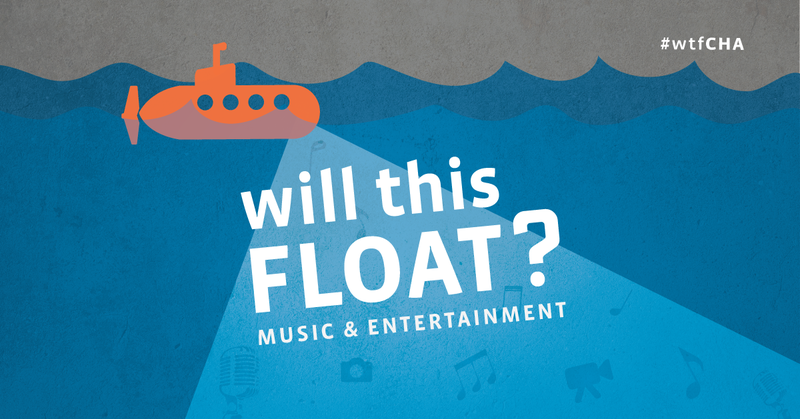 Of the 10 finalists, six will present business ideas focused on music and entertainment, the theme of this year’s ‘Will This Float?’ competition. The remaining four will pitch entrepreneurial ideas that fall within the general business category. The winners of the awards for Best Music/Entertainment Idea and Best General Business Idea will each receive a $250 cash prize and 10 hours of free business services from both Chambliss Startup Group and Henderson Hutcherson & McCullough. The recipient of the award for Best Idea Overall will earn a $1,000 cash prize and a $500 voucher from Promo Sherpas, as well as 10 hours of free business services from Chambliss Startup Group and Henderson Hutcherson & McCullough. In addition, the two most outstanding Music/Entertainment entrepreneurs will receive exclusive access to the music industry experts SoundCorps features at its quarterly professional development events. At the event, each finalist gets three minutes to pitch his or her startup idea before a panel of judges and an audience of local startup leaders, general attendees and potential mentors and business partners. A brief Q&A session with judges will follow each presentation. Audience members will have an opportunity to vote for their favorite ideas at the end of the event, with their collective feedback weighing in at 25 percent of the final decision. Judges will vet candidates according to a set of five assessment criteria. Established in 2010, Will This Float? is an annual business pitch competition that celebrates the spirit of entrepreneurship in southeast Tennessee. Over the last five years, the event has showcased approximately 47 entrepreneurs who have raised nearly $6 million in combined capital. The event attracts an average of 400 attendees annually, making it one of the most prominent business pitch competitions in the region. A number of notable entrepreneurial successes have grown out of Will This Float?, including SupplyHog, NODE (Variable, Inc.), RootsRated, Granola and Innovasan. Click here to learn more about the competition.